Babolat Pure Aero Tennis Racquet . 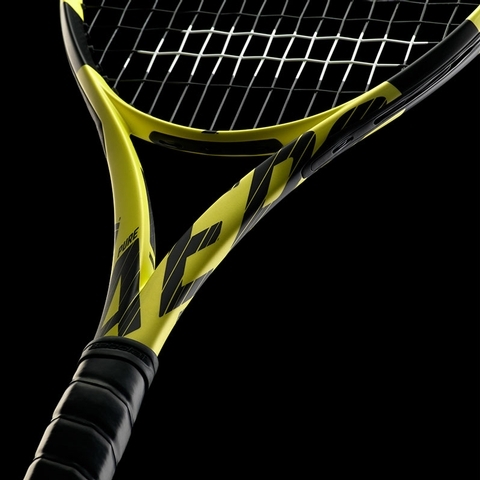 The new era in the Pure Aero legacy is here! 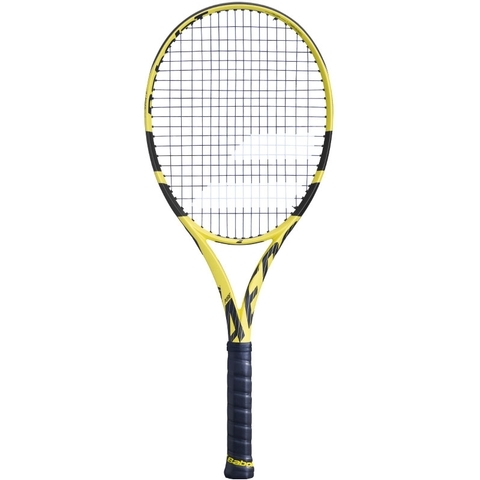 Now redesigned and re-engineered, the updated Pure Aero features more control plus a better feel for players who use spin as their weapon of choice to dominate the court. 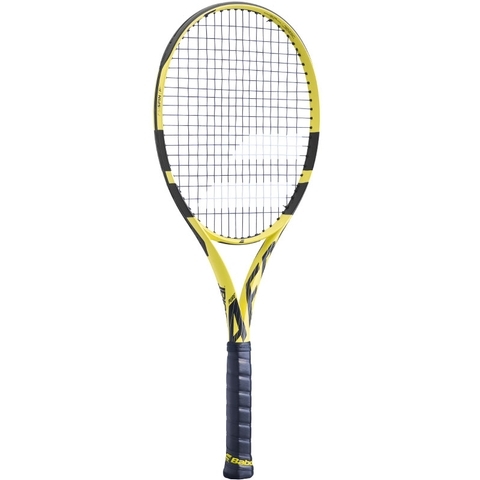 Although Babolat went with a more classic colorway and design, they have upgraded Rafael Nadal’s racquet of choice for 15 years in more ways than one. 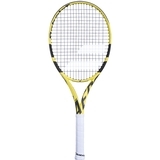 Aeromodular3 Technology – An updated aerodynamic frame integrating bumper and grommets and an optimized design to increase racquet head speed and generate more spin. 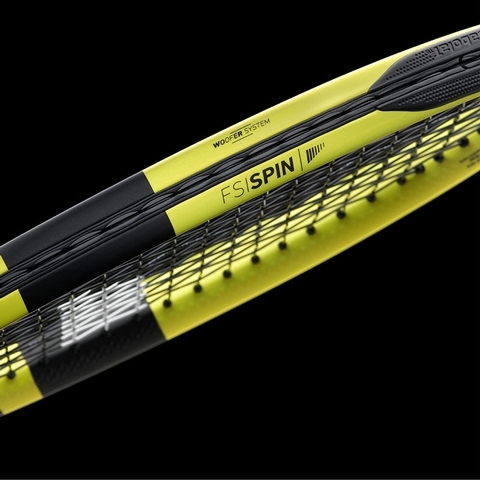 FSI Spin- Oblong shaped spin grommets built at 6 and 12 o’clock increase spin with a wider string interaction. 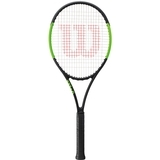 Thanks to a longer contact time between the ball and the string, the Woofer System offers a maximum of spin with a great feeling and superior control and comfort. 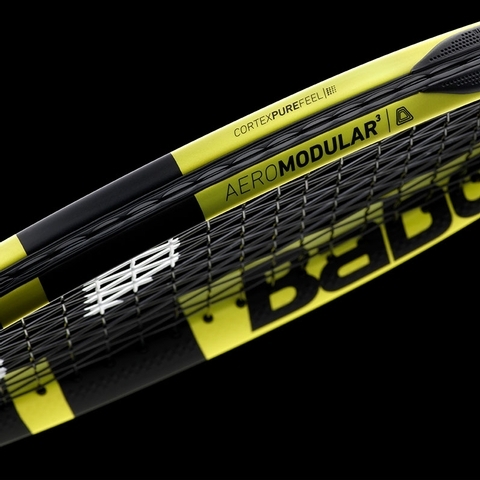 Cortex Pure Feel- For optimal vibration absorption, Babolat integrated Smacwrap technology (thin viscoelastic rubber) used in the aerospace industry to develop Cortex Pure Feel. 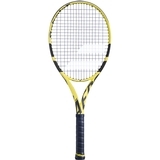 Placed at 3 and 9 o’clock this technology offers tennis players the best possible feel and unrivaled comfort. 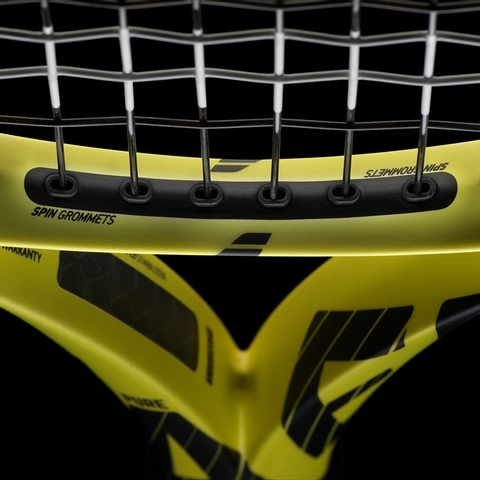 Carbonplystabilizer- This Pure Aero guarantees an even greater stability thanks to the innovative CPLY CARBON developed by Chomarat. 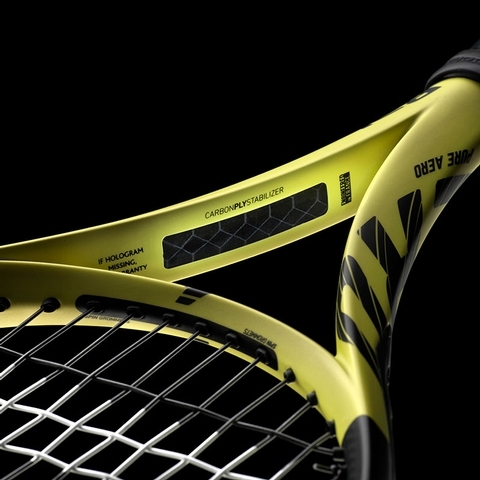 Added in the core of the racquet, the specificities of this new carbon will make every shot more precise and more stable at impact. Head Size 100 sq. in. / 645 sq. cm.